Working a rare callsign, special event station, country, or grid square is always an exciting time when you’re able to officially make the QSO and put it in your log. But being the station handing out that rare contact is a whole another level of excitement – and for me another level of being nervous too. It all started out with the normal planning of a vacation to get away for a few days to close out the year. The XYL and I had decided we were going to head to the Florida Keys for a few days to kick back and relax. The initial plan was easy – activate EL94 which basically includes most of the Keys via FM satellites. While not super rare, EL94 typically isn’t up for grabs very often. As planning progressed, hotel arrangements were booked and the next big item to schedule was things to do. 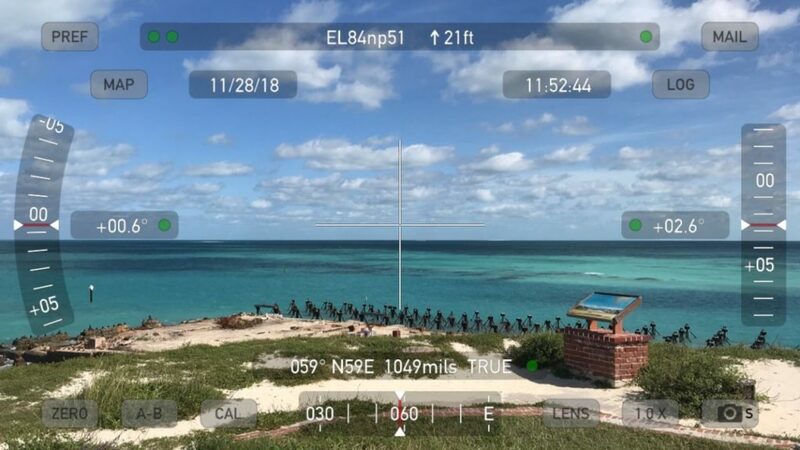 It didn’t take long for the XYL to discover a remote island near Key West was available to visit – Dry Tortugas or EL84. I had known for awhile there was a rare grid square to the west of Key West but didn’t really think I would ever be able to activate it. Within a couple hours it was official we were going to take the 2.5 hour boat ride to the island to visit. I immediately started looking at potential passes to see if I was going to be in any foot print to operate. There appeared to be a couple options during our time on the island. Back in July, the island was activated for three days by several operators. Fortunately, I was able to ping several questions off of one of them – Robert Bankston (KE4AL). I was able to get a good handle on most of the administrative items such as: where to operate, if any special permit was needed, and other general tips. We arrived to our hotel in Key West on the night of November 27th. I had staged a bag with all my equipment in it so it was easy to transport. I took out my HT and recorder to get a full charge. I had printed out pass predictions and took screen shots on by iPhone based app GoSatWatch because there is no cell service on the island. I had a printed out a frequency chart for all the satellites. With all my equipment with me as we boarded the boat the next morning, I was a little nervous. This one time opportunity to active a rare grid had me thinking in the back of my mind how Murphy was going to strike. 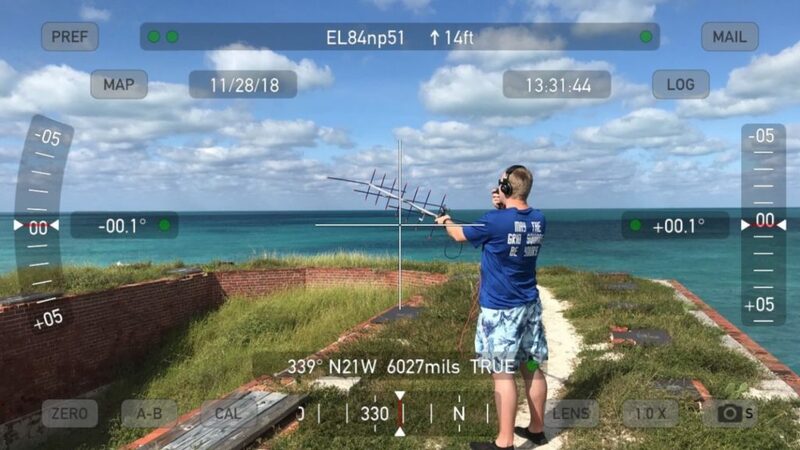 There were 3 possible passes to work while we were on the island: AO-92 and two passes of AO-91. AO-92 was going to be difficult as the time of the pass and our arrival were basically the same time. 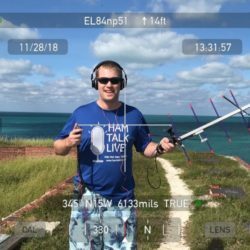 As we made our journey to the island and just as we went out of cell phone coverage, I knew I wasn’t going to be able to make AO-92 but the first pass of AO-91 was going to be fine. When we arrived to the island, I departed the boat and immediately found a Park Ranger. I explained what I was going to do to ensure everything was ok. The Ranger had no issues and it was all but time to operate. 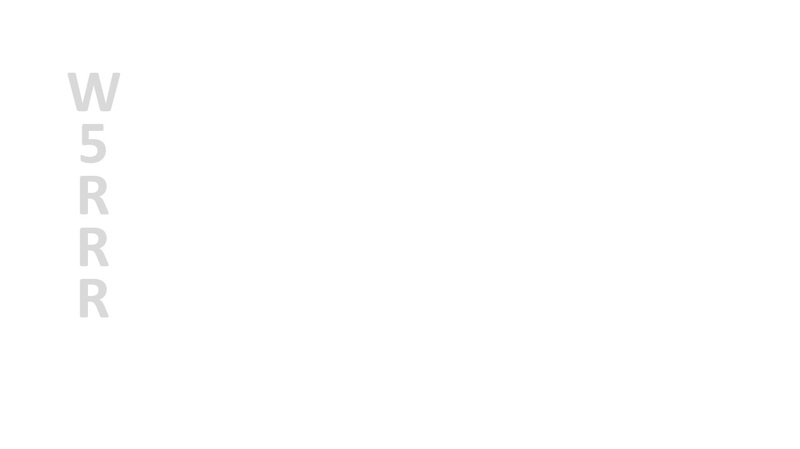 I had about an hour before AO-91 was scheduled to pass. To help with the time, we signed up for a brief overview of the Fort which lasted about 20 minutes. When that concluded, it was time to get my gear and find my operating spot. My goal was to operate on the outer fort wall, which would give me an extra 30 feet of elevation. As I climbed the steps to reach the 3rd floor, I didn’t know what to expect. When I got to the top it was an incredible view! I had about 20 minutes to put my Arrow antenna together and get everything set up. With everything together, I put in the frequencies for AO-91 and had about 5 minutes to go. As 3 minutes became 2, then 1, I was nervous – what if I didn’t have the right times, frequencies, or whatever. I hit record on my recorder and it was go time. When I heard AO-91, all was good as it was operating as usual! I had two skeds with stations looking to get EL84 in their logs. The pass went fast and before I knew it I was outside of AO-91’s footprint. I had 8 QSOs during the first pass including both skeds. After I was done operating, I captured this shot of my incredible view during the pass. I had about an hour and a half before AO-91 would come around again. I broke down the 3 elements for 2 meters to make it easier to carry around while I waited. I went back to the ship to have lunch. Once lunch was over we walked around inside the fort as I was trying to fill some time before the next pass. 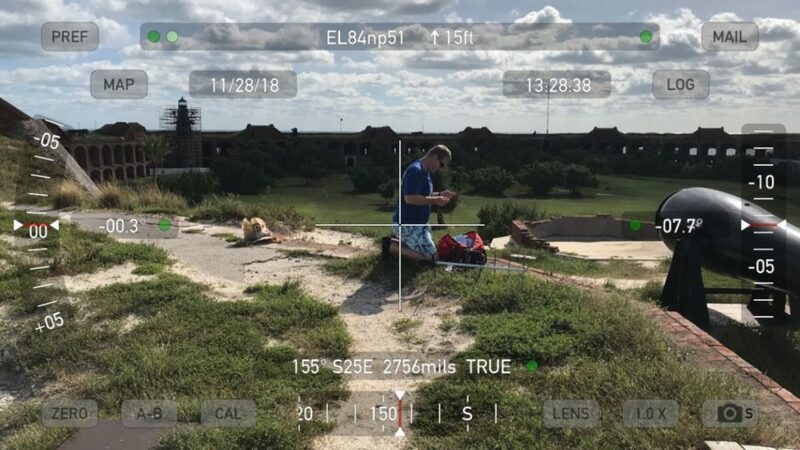 AO-91’s next pass was to the west of the fort. I changed locations for the second pass although I was still on the fort’s outer wall on the 3rd level. As AO-91 approached my location, my XYL captured this action shot right as the pass was starting. During the second pass of AO-91, I was able to log 7 stations. 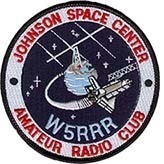 I think the second pass went quicker than the first and before I knew it W9TWJ was QRT from EL84. As I packed away my gear, I again looked out to the ocean to take in the incredible view. It was an amazing experience to visit the island and to be able to bring ham radio with me just added even more to the experience. One final picture of me preparing to work the second pass of AO-91. I worked George DeMontond, NR5M on 50 phone when he was a part of the K4N team that activated EL84 back in 2013.